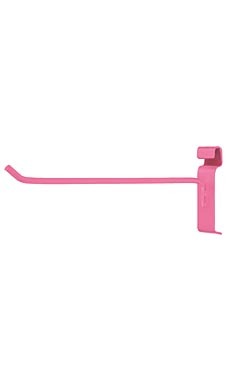 The Hot Pink 10" Peg Hook for Wire Grid helps to easily maximize space and get the most our of your wire grid panels. These eye-catching and stylish hooks are great for hanging any type of merchandise. The hot pink finish is attractive and eye-catching and will complement existing fixtures.